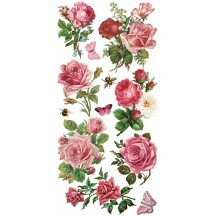 1 sheet of vintage-style die-cut stickers featuring a mix of butterflies, dragonflies and roses. 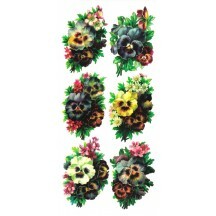 Overall sheet measures 3-3/4" by 7-3/4" tall. Printed in the USA. 1 sheet of vintage-style die-cut stickers featuring a mix of hummingbirds and orchids. 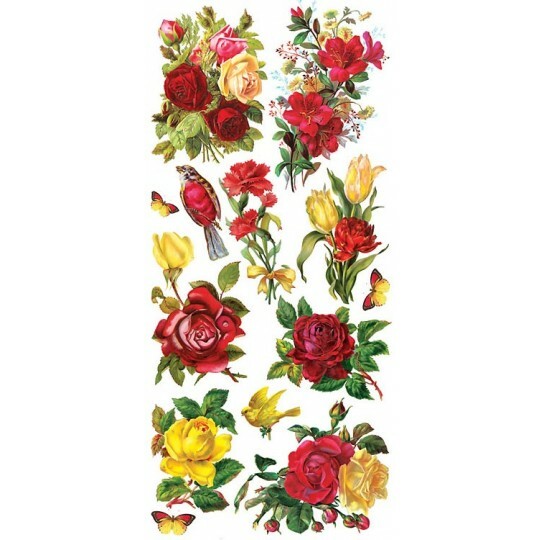 Overall sheet measures 3-3/4" by 7-3/4" tall. Printed in the USA. 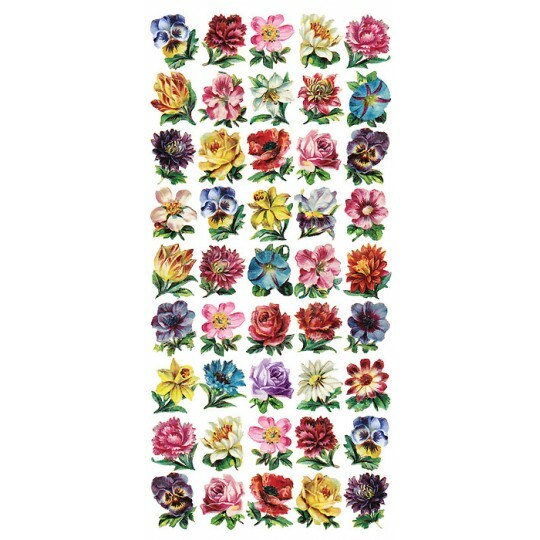 1 sheet of vintage-style die-cut stickers featuring a mix of petite colorful flowers. Overall sheet measures 3-3/4" by 7-3/4" tall. Printed in the USA. 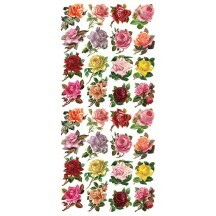 1 sheet of vintage-style stickers featuring a mix of petite colorful roses. 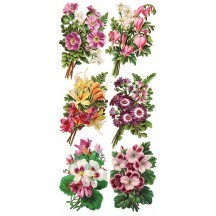 Overall sheet measures 3-3/4" by 7-3/4" tall. Printed in the USA. 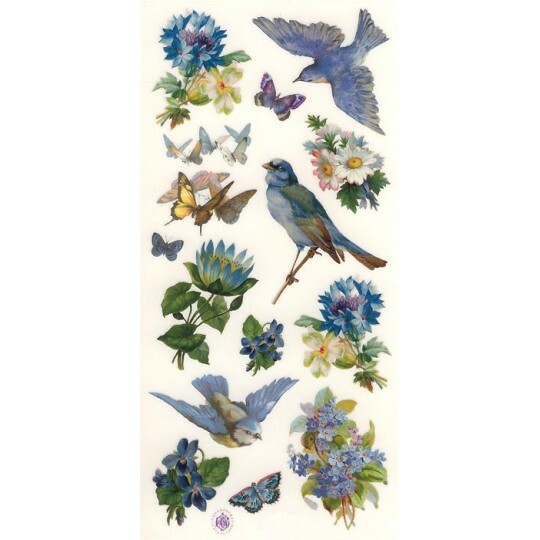 1 sheet of vintage-style die-cut stickers featuring a mix of beautiful flowers and bluebirds. 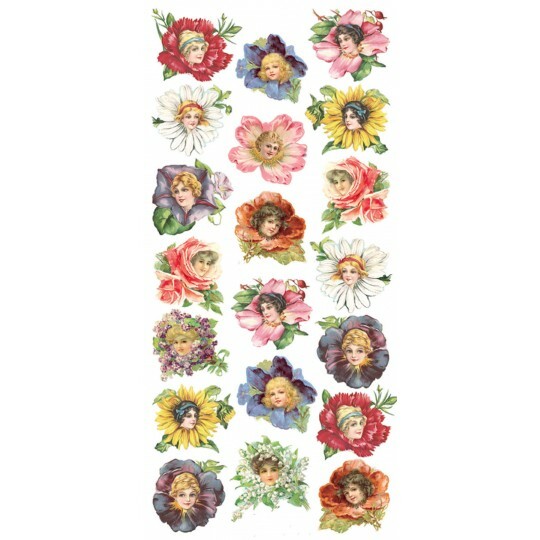 Overall sheet measures 3-3/4" by 7-3/4" tall. Printed in the USA. 1 sheet of vintage-style die-cut stickers featuring a mix of beautiful fuchsia roses. 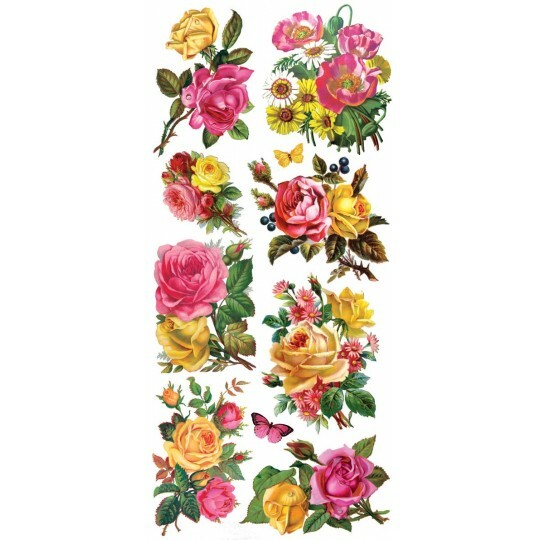 Overall sheet measures 3-3/4" by 7-3/4" tall. Printed in the USA. 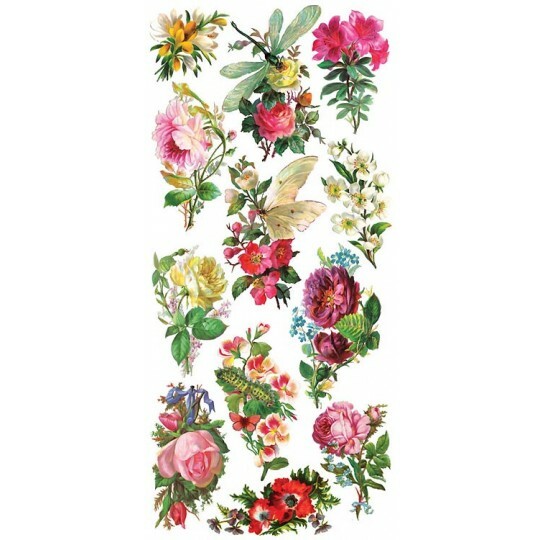 1 sheet of vintage-style die-cut stickers featuring a mix of beautiful flora corners. 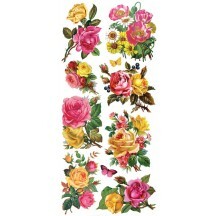 Overall sheet measures 3-3/4" by 7-3/4" tall. Printed in the USA. 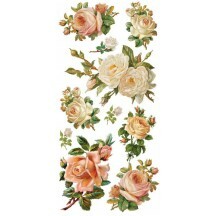 1 sheet of vintage-style die-cut stickers featuring a mix of beautiful flower bouquets and nosegays. Overall sheet measures 3-3/4" by 7-3/4" tall. Printed in the USA. 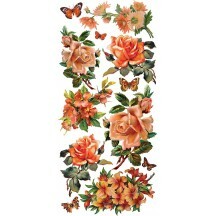 1 sheet of vintage-style die-cut stickers featuring a mix of beautiful orange roses and flowers. 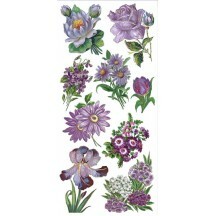 Overall sheet measures 3-3/4" by 7-3/4" tall. Printed in the USA. 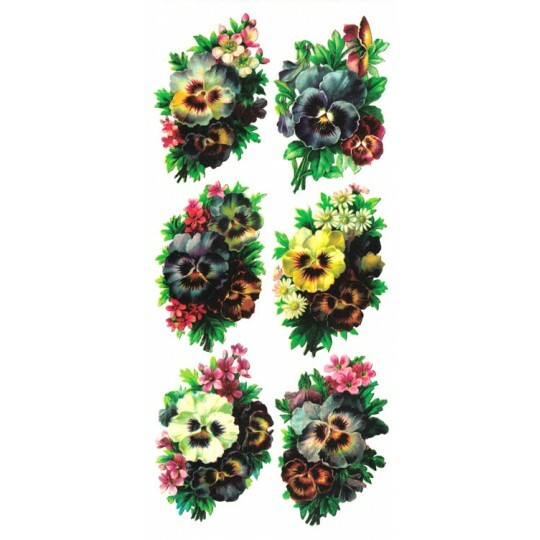 1 sheet of vintage-style die-cut stickers featuring a mix of beautiful pansies. Overall sheet measures 3-3/4" by 7-3/4" tall. Printed in the USA. 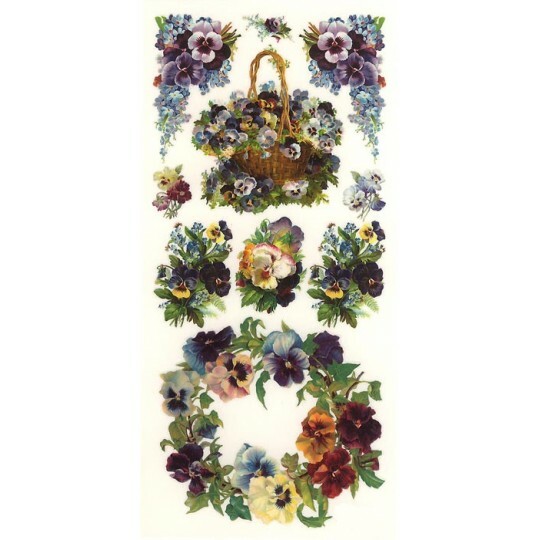 1 sheet of vintage-style die-cut stickers featuring a mix of beautiful pansy bouquets. 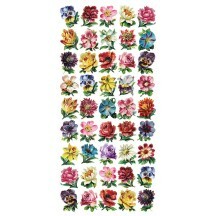 Overall sheet measures 3-3/4" by 7-3/4" tall. Printed in the USA. 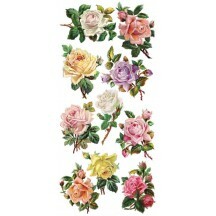 1 sheet of vintage-style die-cut stickers featuring a mix of beautiful pastel pink roses and flowers. 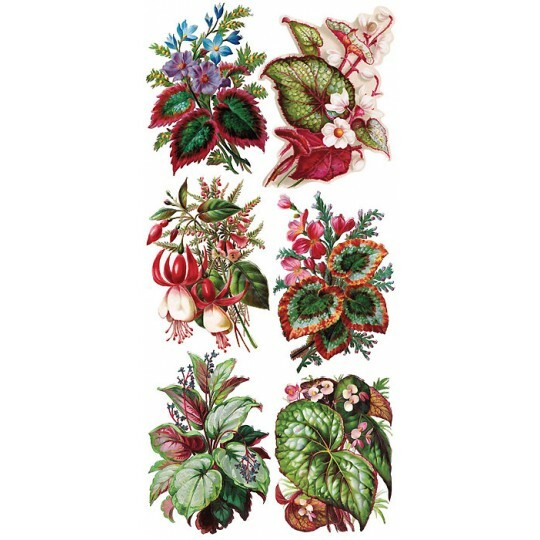 Overall sheet measures 3-3/4" by 7-3/4" tall. Printed in the USA. 1 sheet of vintage-style die-cut stickers featuring a mix of beautiful vintage pastel roses. 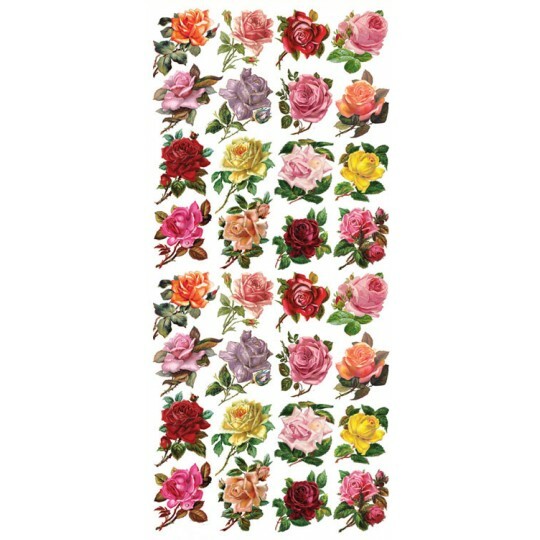 Overall sheet measures 3-3/4" by 7-3/4" tall. Printed in the USA. 1 sheet of vintage-style die-cut stickers featuring a mix of beautiful vintage pink and yellow rose bouquets. 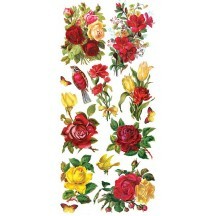 Overall sheet measures 3-3/4" by 7-3/4" tall. Printed in the USA. 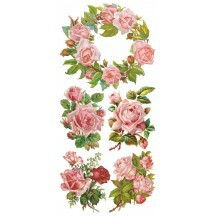 1 sheet of vintage-style die-cut stickers featuring a mix of beautiful pink roses and flowers. Overall sheet measures 3-3/4" by 7-3/4" tall. Printed in the USA. 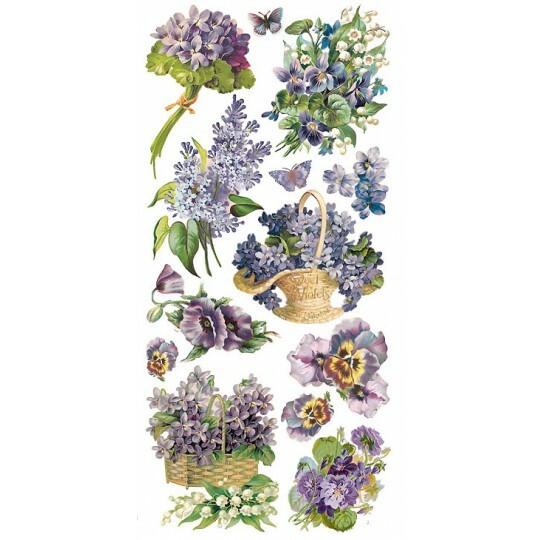 1 sheet of vintage-style die-cut stickers featuring a mix of beautiful purple flowers. 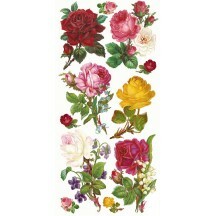 Overall sheet measures 3-3/4" by 7-3/4" tall. Printed in the USA. 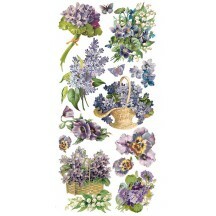 1 sheet of vintage-style die-cut stickers featuring a mix of beautiful purple garden flowers. Overall sheet measures 3-3/4" by 7-3/4" tall. Printed in the USA. 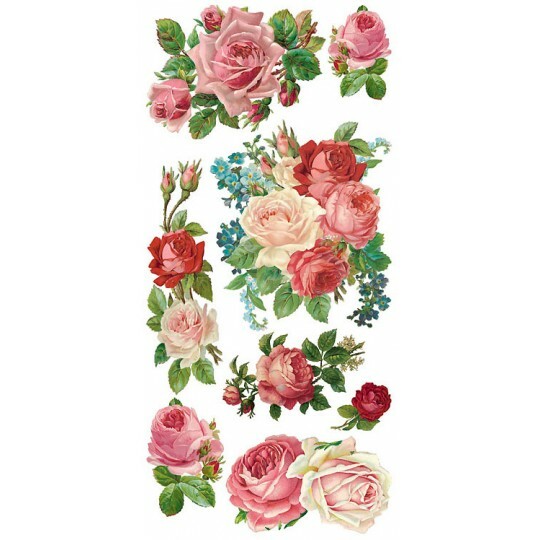 1 sheet of vintage-style die-cut stickers featuring a mix of beautiful rose blossoms. 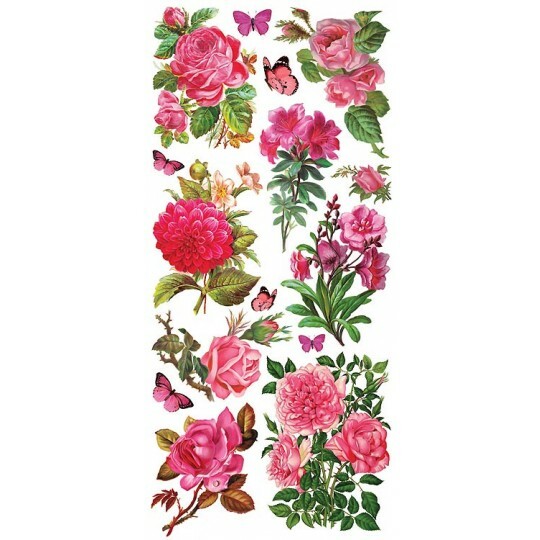 Overall sheet measures 3-3/4" by 7-3/4" tall. Printed in the USA. 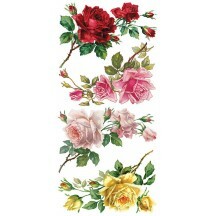 1 sheet of vintage-style die-cut stickers featuring a mix of beautiful pink, yellow and red roses. Overall sheet measures 3-3/4" by 7-3/4" tall. Printed in the USA. 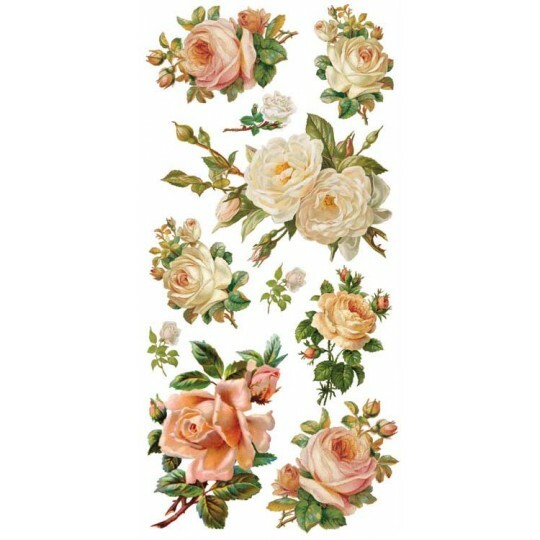 1 sheet of vintage-style die-cut stickers featuring a mix of beautiful roses and flowers. 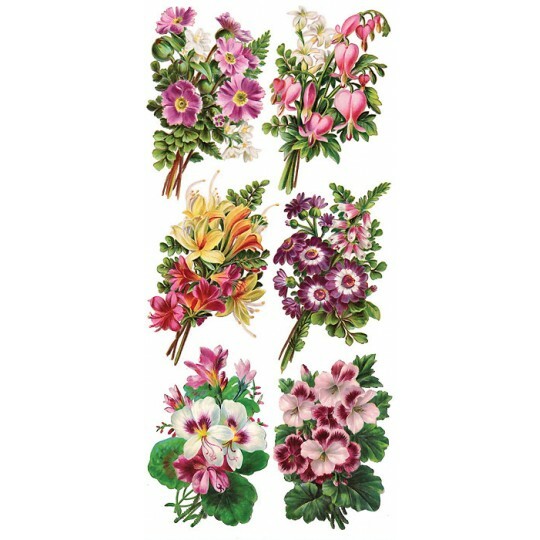 Overall sheet measures 3-3/4" by 7-3/4" tall. Printed in the USA. 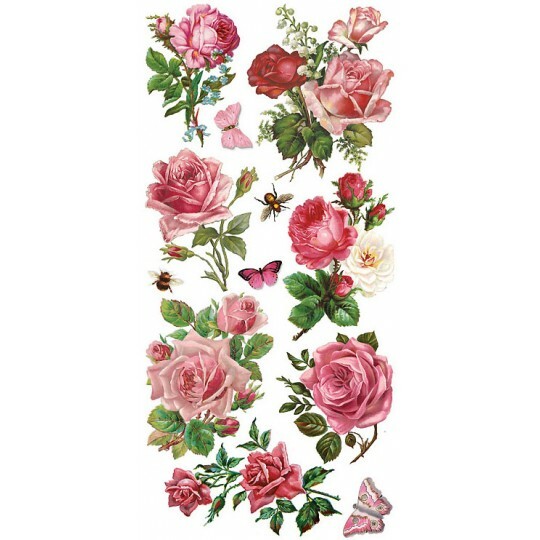 1 sheet of vintage-style die-cut stickers featuring a mix of beautiful pink roses. 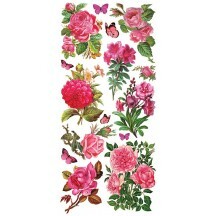 Overall sheet measures 3-3/4" by 7-3/4" tall. Printed in the USA. 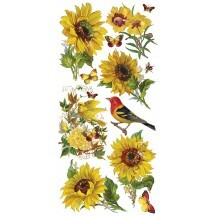 1 sheet of vintage-style die-cut stickers featuring a mix of beautiful sunflowers, birds and butterflies. 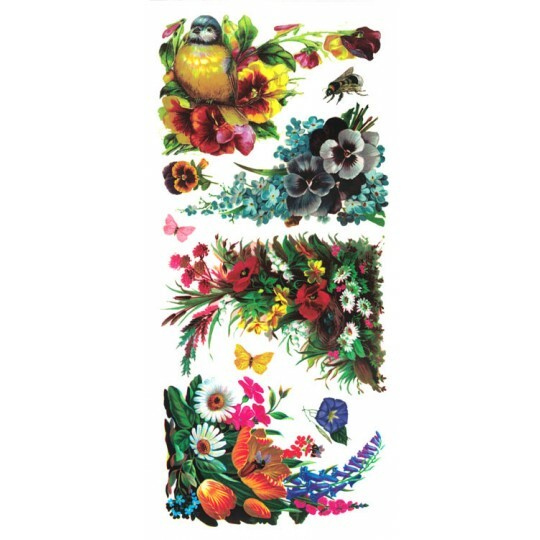 Overall sheet measures 3-3/4" by 7-3/4" tall. Printed in the USA. 1 sheet of vintage-style die-cut stickers featuring a mix of beautiful vintage rose bouquets. 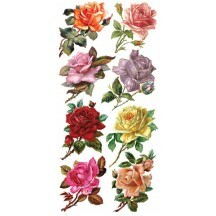 Overall sheet measures 3-3/4" by 7-3/4" tall. Printed in the USA. 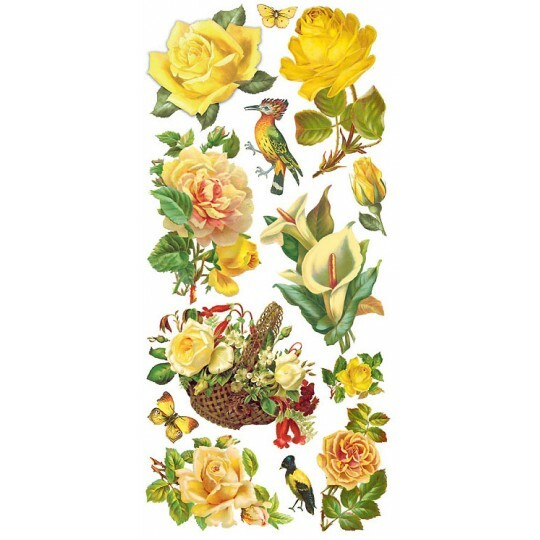 1 sheet of vintage-style die-cut stickers featuring a mix of beautiful yellow roses and flowers. Overall sheet measures 3-3/4" by 7-3/4" tall. Printed in the USA. 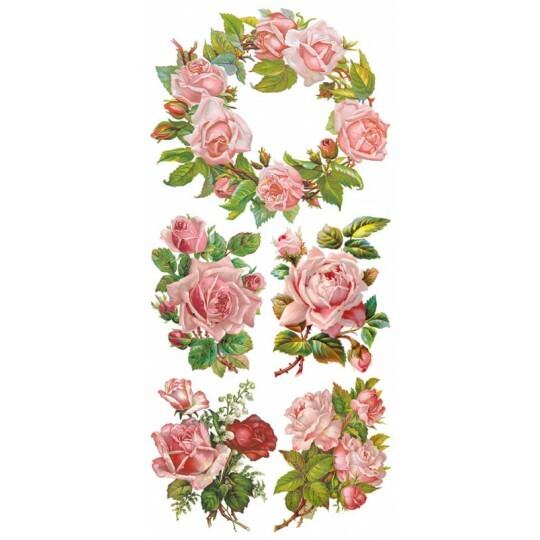 1 sheet of vintage-style die-cut stickers featuring a mix of beautiful pink and white roses in various sizes. 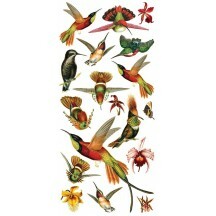 Overall sheet measures 3-3/4" by 7-3/4" tall. Printed in the USA. 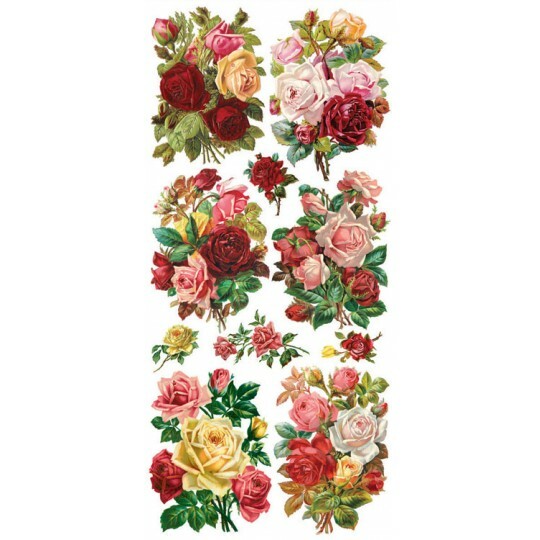 1 sheet of vintage-style die-cut stickers featuring a mix of beautiful red and yellow roses. Overall sheet measures 3-3/4" by 7-3/4" tall. Printed in the USA. 1 sheet of vintage-style die-cut stickers featuring a mix of beautiful exotic flowers and leaves. Overall sheet measures 3-3/4" by 7-3/4" tall. Printed in the USA. 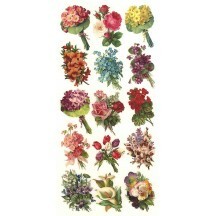 1 sheet of vintage-style die-cut stickers featuring a mix of beautiful springtime flower bouquets. 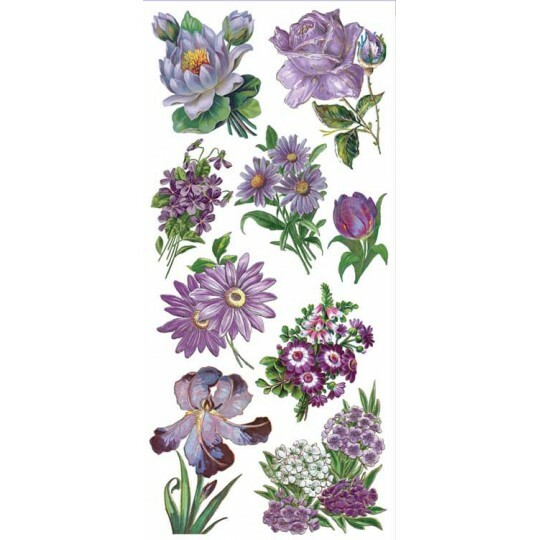 Overall sheet measures 3-3/4" by 7-3/4" tall. Printed in the USA. 1 sheet of vintage style stickers featuring a mix of beautiful flower girls. 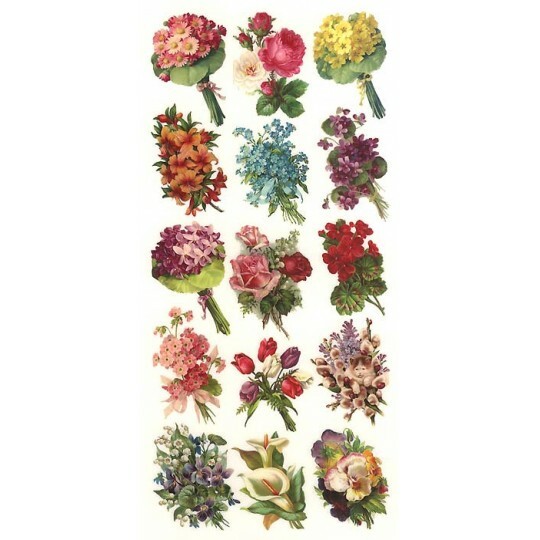 Overall sheet measures 3-3/4" by 7-3/4" tall. Printed in the USA on a semi-clear cello material.